We just got back form participating in the Tokyo International Gift Show (Autumn) held at the Tokyo Big Site from September 2-5, 2015. The people there love Maui and quality products Made in Maui and we love them too. It was a very successful show for us. With our Island Luxury and Island Chic bedding sets, you can wake up in paradise every morning! 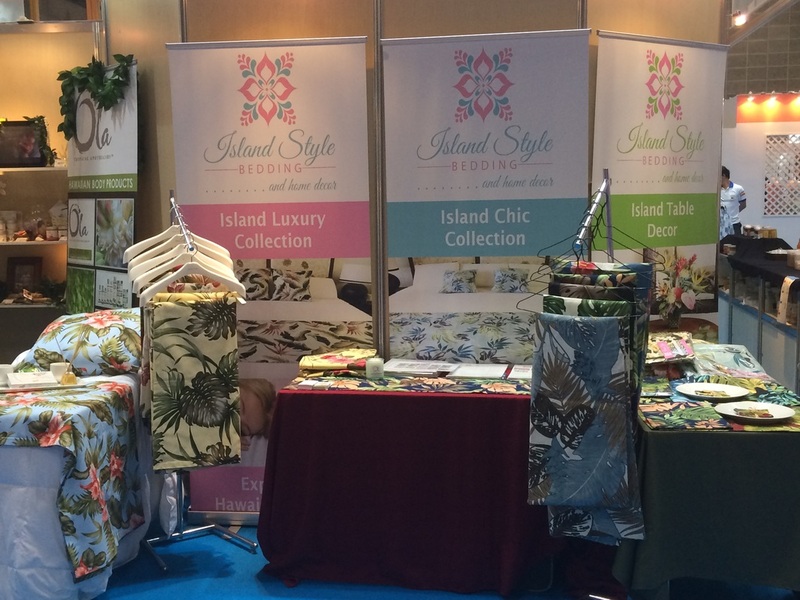 Pamela Tumpap, the Owner & President of Island Style Bedding & Home Decor.